The attorneys at The Krause Law Firm, P.C., offer personalized estate planning strategies to help you preserve wealth. We will take the time to listen to your specific circumstances and develop the best legal strategy for your needs. We have extensive knowledge of various trusts to protect your assets. Our attorneys understand the unique legal needs of local farming businesses. We offer experienced estate planning and business law services to our farming clients. It is possible, with the proper legal strategies, to earn a profit on your farm which will last through many generations. We also offer business and commercial real estate counsel to companies throughout Sioux Falls. We provide counsel for changing families as well. Our lawyers can guide you through the estate administration and probate process if your loved one has passed away. We also offer divorce and child custody assistance for local families. Our litigation attorneys are available to advocate on your behalf for contested matters. 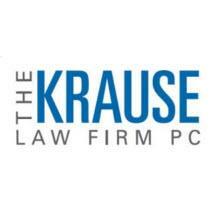 At The Krause Law Firm, P.C., we make an effort to pass value onto our clients, providing affordable yet quality legal services. We can provide knowledgable legal assistance for your personal or business needs.